Nella Oortman moves to Amsterdam to begin a new life as the wife of successful merchant trader Johannes Brandt. 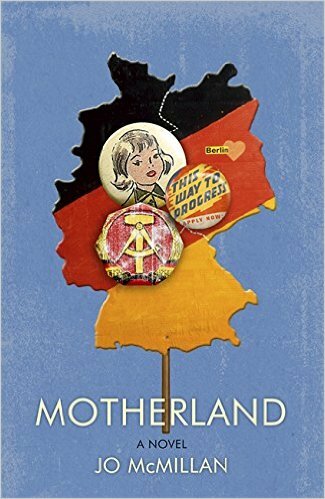 But when she arrives, Johannes is absent while his sharp-tongued sister Marin rules the house with an iron fist. Johannes presents Nella with a miniature version of her new home as a wedding gift, which she proceeds to fill with tiny replicas of objects and people – created by a mysterious miniaturist who seems to know far too much about inner workings of the Brant household. It soon becomes clear to Nella that the house has many secrets. Determined to get to the bottom of things, she uncovers far more than she expected and sets off a dangerous chain of events. I know that there are a lot of people who absolutely loved this book, but while I enjoyed the story and thought it was well written, I just didn’t connect with the characters. To me, it felt like I was being told, rather than shown, how the characters felt about unfolding events. As a result it all felt a bit detached, and I never felt any real emotion on their behalf. The interactions between Nella, her husband and the other members of the household seemed limited and stilted – so much so that I really didn’t believe in the relationships that developed between over the course of the book either. The story started well and I was intrigued by the situation and the mysterious miniaturist. The middle part meandered on quite slowly, and while it did pick up towards the end I just wasn’t that interested in the outcome. The story line about the miniaturist feels unfinished and isn’t fully explained, which was frustrating and left me feeling like I was missing something. That said, I really liked the setting of seventeenth century Amsterdam, the descriptions of the city and the historical insight into Nella’s daily life. It was really interesting to get a glimpse of the difficulties faced by women and by anyone else who didn’t fit into the strict rules of society, and how this impacted on their lives and experiences. This feels like a short review but I just didn’t really have any strong feelings about this book either way, which in itself is a bit of a disappointment given all the hype that surrounded it on its release. 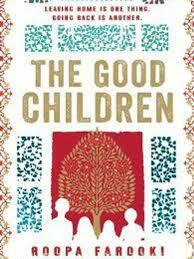 Roopa Farooki’s ‘The Good Children’ focuses on the lives of the Suddeq family in Lahore, the Punjab. From birth, the Suddeq children – Sully, Jakie, Mae and Lana – are pushed into set roles determined by their gender and by social expectations. The boys will study, go abroad for education and return as successful doctors. The girls will be dutiful daughters, marry well and help to keep the family in the highest social standing. But their mother’s determination to force them into these ideals of ‘good children’ forces a wedge between her and her children. All four grow up to rebel and push the boundaries in their own way – Sully marries outside of his religion and Jakie falls in love with a white Irishman, while the girls leave their husbands and raise their children with Western values. When Patrick Gale’s latest novel opens, protagonist Harry Cane is incarcerated in a mental asylum. As we read on, we find out more about his life and how he ended up there. Born as raised in England as the eldest son of a wealthy businessman, Harry lives a relatively idle life. 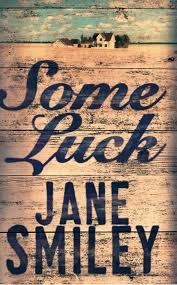 Shy and with a stammer that embarrasses him, he enters into a happy but platonic marriage. When he enters into an illicit, passionate affair, he starts to discover more about himself and his sexuality. When he’s inevitably discovered, he’s forced to leave his family behind under the threat of scandal and imprisonment. 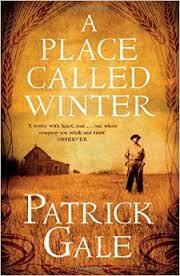 Harry emigrates to Canada, where he’s allocated a remote homestead in a place called Winter. It’s a harsh environment, and to succeed in his new life Harry has to learn a whole new set of skills – building a home from scratch and clearing his land for farming. On his travels he meets Troels, a dangerous and sadistic man who makes a living from exploiting the many homesteaders that fail in their efforts to start afresh in the Canadian prairies. His relationship with Troels is dark, twisted and unsettling, and his negative influence pervades the whole book, even after Harry forms a new bond with his neighbour, Paul, and his sister, Petra. Eventually, this troubled relationship forces Harry to make a terrible decision.